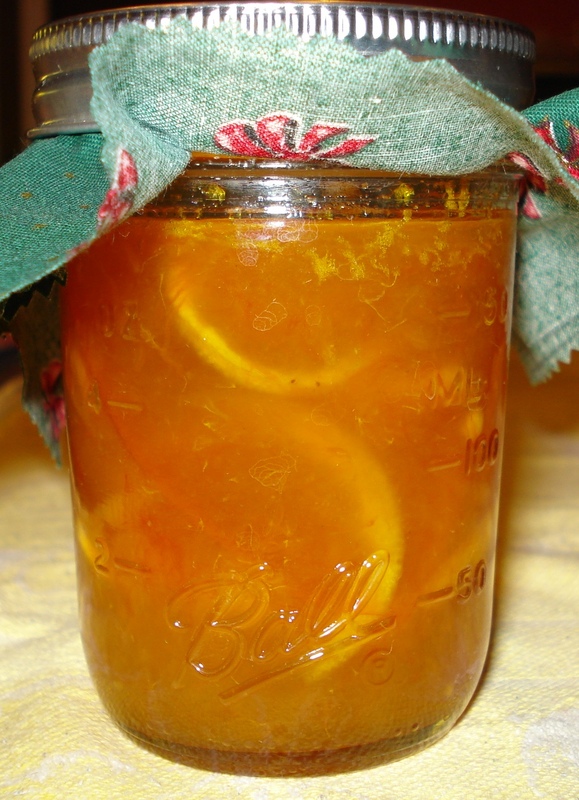 5 recipes... 50 Jars - SB Canning Group are Superstars - Canning Homemade! I am so proud and delighted to have the canning group. They are becoming good friends and we all have something to bring to the table that lets us learn from each other. Our second meeting was a whirlwind event of 4 hours of canning. To see more about our recipes and results go to the SB Canning Group Tab. Two of the ladies in the group have gone beyond the walls of my kitchen and started doing a bit of canning on their own. Both Susan and Leah have been hard at work in the kitchen having some of the trials of doing it yourself especially in the beginning and finding that you can make a few mistakes along the way but everything can be overcome. 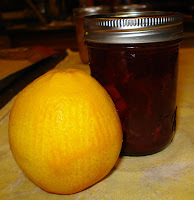 At our get together yesterday we had the pleasure of trying Leah's Cranberry Orange Marmalade. She followed the recipe that my sister had done which is on this blog and did hers substituting Cane Sugar for the white sugar. She also made an Orange Marmalade. She had a bit of trouble with the boiling temperature since the recipe did not get to 220 degrees. I did a bit of research when she called me and found that the gel temp for both sugars are the same. 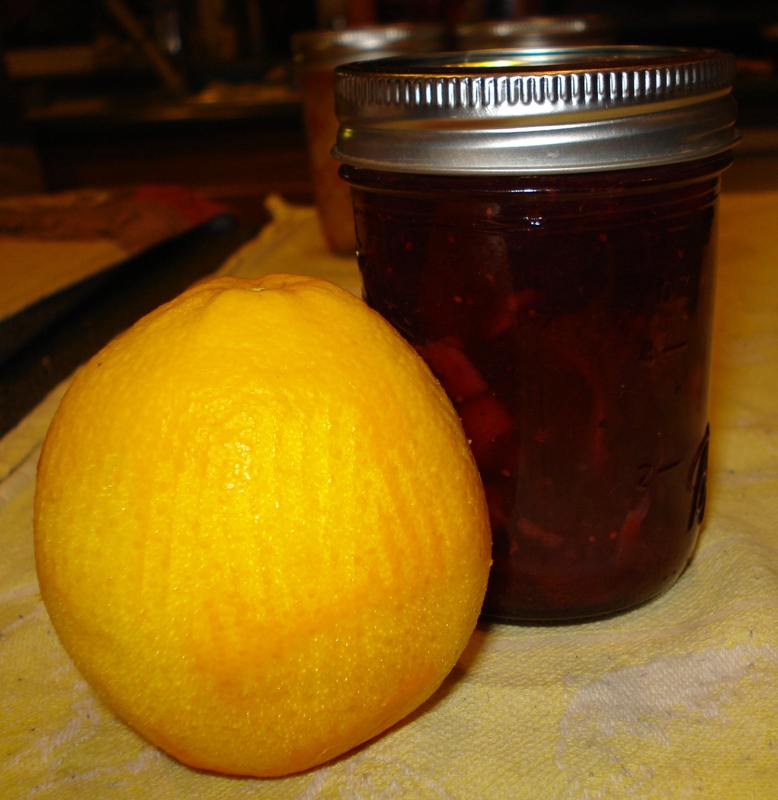 Because of the lack of natural pectin in the oranges it didn't gel the way she liked it, but the next morning I received a call from Leah that it had set overnight. Susan was busy over the last week working on a Raspberry Jalapeno jelly. Susan didn't like the consistency of the first batch and remade it and generously brought a small tasting of both batches to our meeting. The flavors were different since she added more sugar and more jalapeno to her second batch. The sweetness of the raspberries blended so well with the heat of the peppers. The consistency on the first batch was more of a syrup and the second was perfect, but both batches were really good and can't wait to try the recipe myself. (Recipe and picture to follow). Combine peppers, raspberries, sugar & vinegar (pulse peppers in food processor to small pieces if not chopped finely enough) and bring to rolling boil, stirring occasionally, then lower to simmer until reaches gell stage of 220 degrees (about 25 minutes). Add pectin & lemon juice; simmer for several more minutes, stirring occasionally, let sit for 10 minutes. Fill hot sterilized jars, process in hot water bath for 10 minutes. Makes about 6 half pints. I still have about twelve pounds of persimmons to can this week and I will be doing another batch of the eggplant appetizer (Caponata) this weekend as holiday gifts. 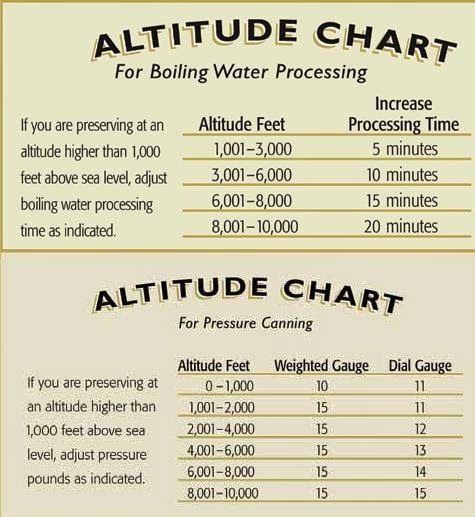 Keep the water boiling!